Located on the peninsular mainland to the east and south of Phuket, Thailand’s Krabi province comprises more than 1,800 sq miles of forested hills along with more than 62 miles of coastline and an estimated 200 islands, all facing the aquamarine waters of the Andaman Sea. Much of the coastline is studded with steep, impenetrable, and uniquely shaped karst outcrops which offer caving, trekking, and some of the finest rock-climbing in the world. The area is also known for its fantastic snorkeling, scuba diving, and sea-kayaking opportunities. I first visited Krabi in 2009, sticking to popular backpacker haunts Railay and Ton Sai. This time around in an attempt to avoid touristy chaos I situated myself on the quiet meets calm Tubkaak beach, located on Krabi’s west shoreline. 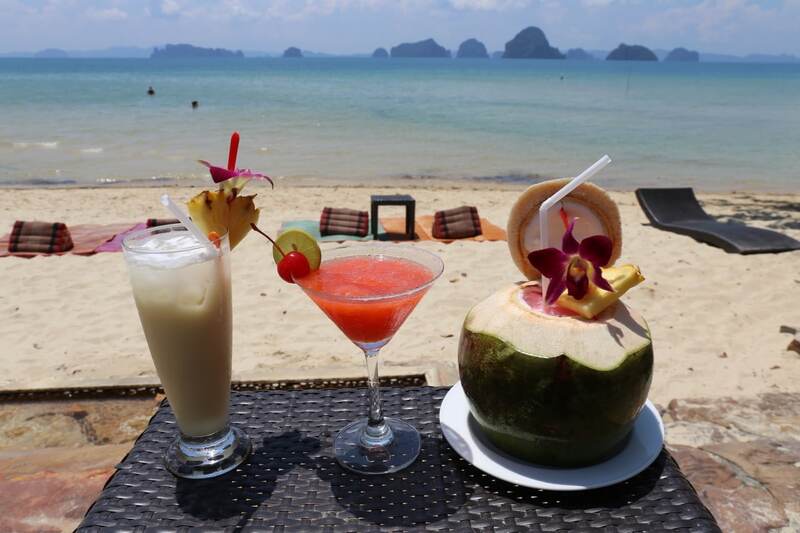 It is here, on Tubkaak’s beautiful, secluded bay where some of Krabi’s top luxury boutique hotels are located. 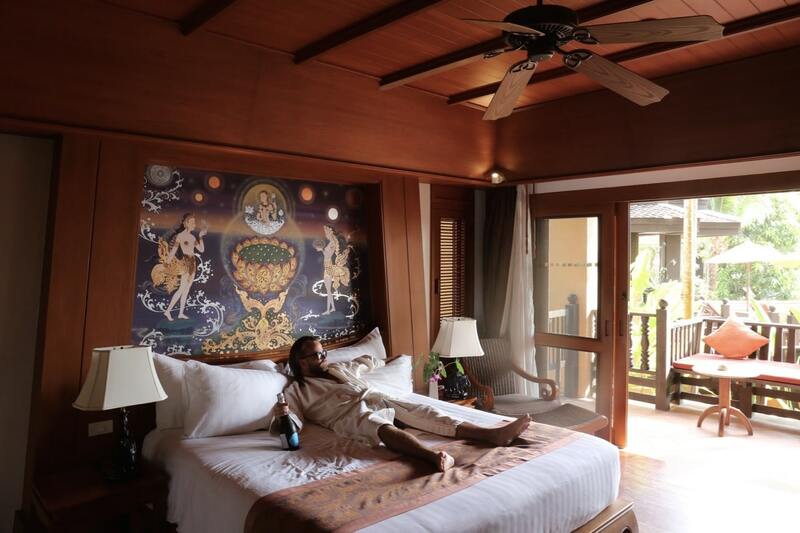 The Amari Vogue Krabi, one of the region’s historic hotels, sits perched over Tubkaak’s secluded beachfront. The intimate boutique resort features just 57 rooms and suites designed in a traditional Lanna style comprised of multiple structures surrounding a multi-tiered pool. Book yourself into the resort’s Grande Deluxe and you’ll enjoy a spacious suite featuring private balcony, romantic Jacuzzi tub and comfy King. 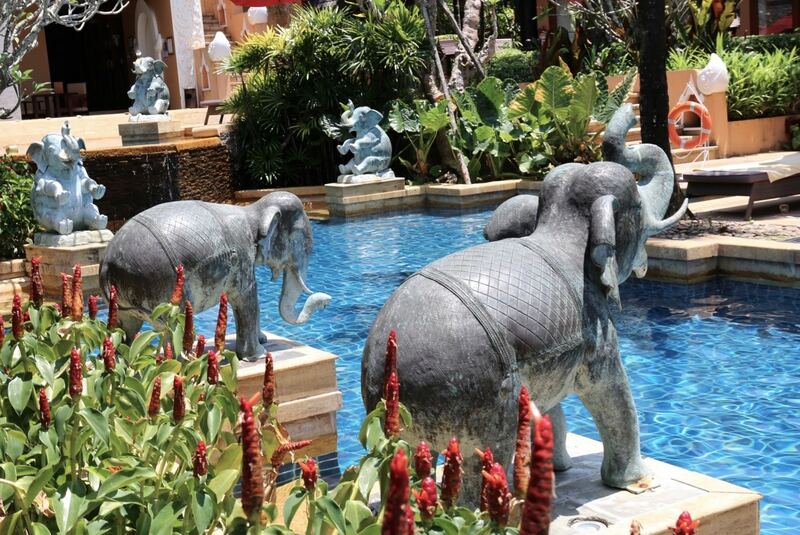 Each sun-soaked suite is lavishly decorated with local Thai arts, crafts, furnishing and fabrics. If you’re looking to treat yourself to an afternoon of rest and relaxation skip on over to Breeze Spa. Set over three floors, each spacious treatment room features a private steam room, large soak tub and rain mist Vichy shower. For those looking for more extended pampering, treatment packages create the perfect combination of head-to-toe relaxation. 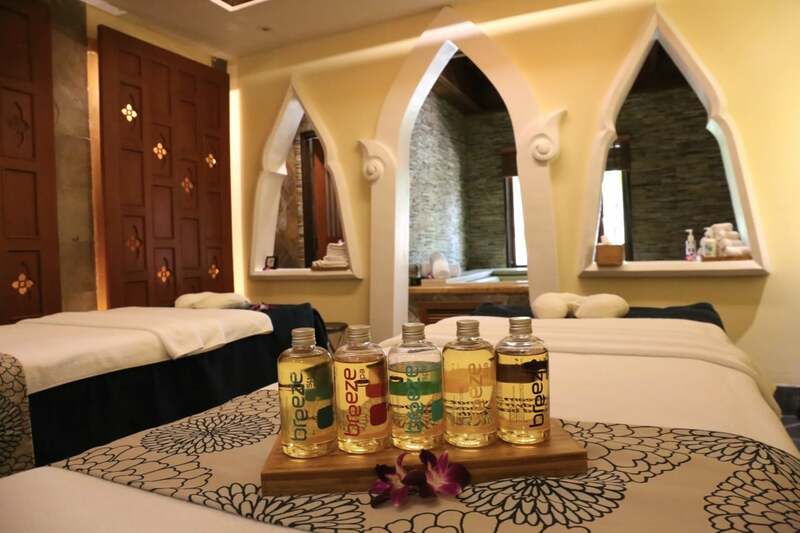 The menu has been carefully designed to combine the best of Thai, Asian and Western healing traditions, including Thai massage, oil massage, natural body polishes and wraps, facials, water therapies and other classic beauty treatments. 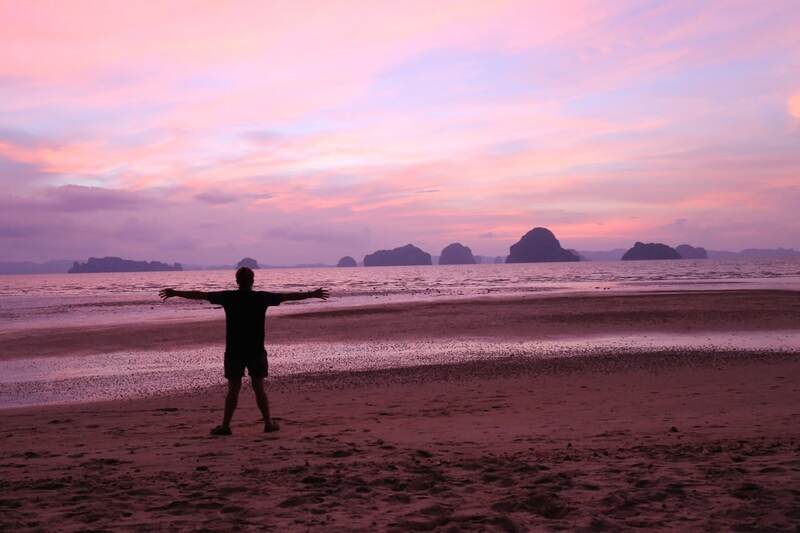 Sunset fans with a penchant for purple and pink love Krabi for it’s postcard perfect paradise. The beach is busiest an hour before sunset, as couples holding hands stroll along Tubkaak to take in the colourful transformation of the dreamy, island adorned horizon. In the morning most guests are out and about enjoying excursions: snorkeling around the local islands, volunteering at the nearby elephant sanctuary or rock climbing Krabi’s iconic limestone cliffs. The resort bustles in the afternoon when temperatures are at their peak. 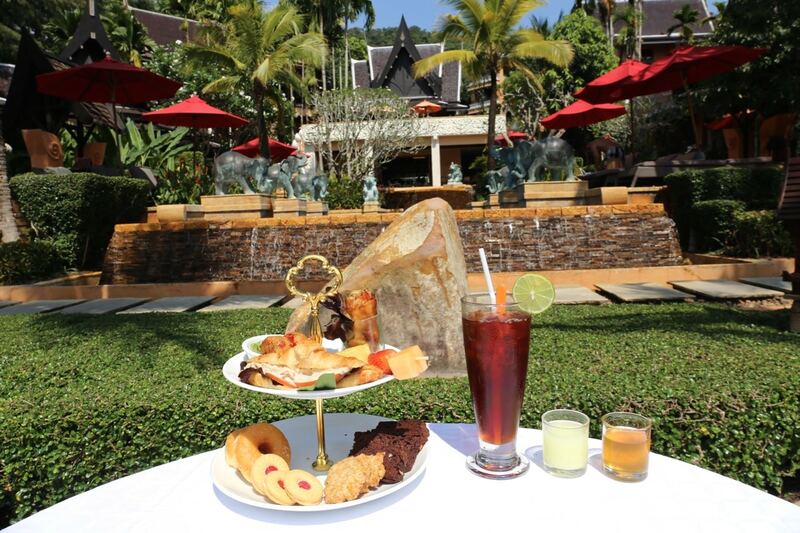 If you’re feeling peckish after a refreshing swim order High Tea, a perfect poolside snack. If boozy libations on the beach are more your thing (I mean just look at that view?) then whistle at your bartender and enjoy a thirst quenching trilogy to help you cool off. Highlights include rum muddled pina colada, sweet strawberry margarita and any tipple served in a freshly shucked coconut. 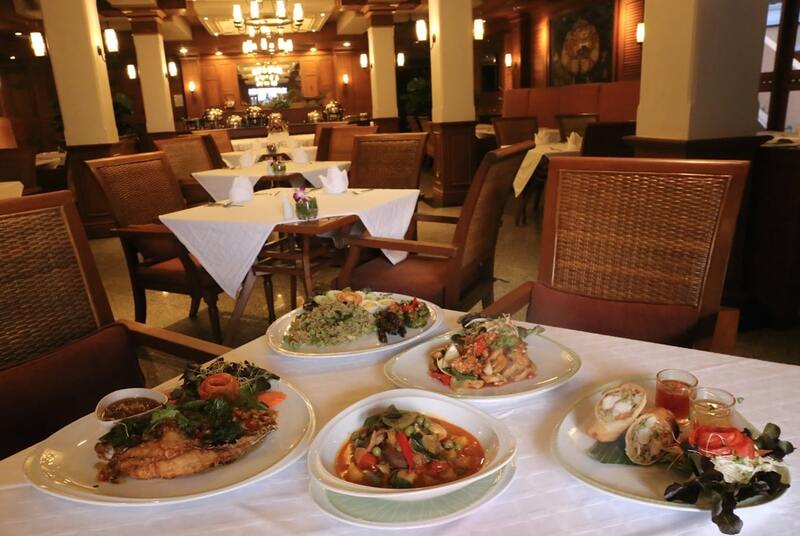 If you’re keen to sample through classic Thai dishes spend an elegant evening at the resort’s signature Lotus Restaurant. Highlights include plump prawn stuffed spring rolls, classic cashew chicken, a sweet meets sour duck curry and fragrant fried rice. Romance is best found under the twinkle of stars while perched over the beach at Bellini. 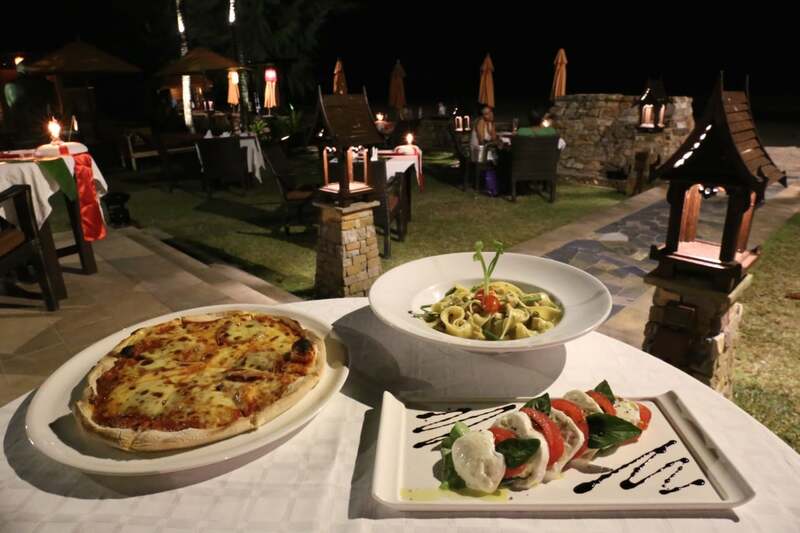 The al fresco Italian restaurant is a carb and dairy lovers dream featuring wood-fired pizzas, plump mozzarella Caprese and steaming bowls of handmade pasta.